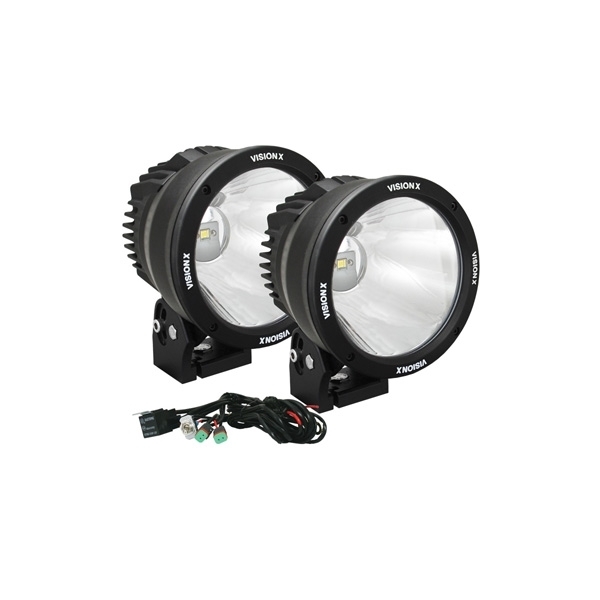 The Vision X 6.7" CANNON CTL-CPZ610KIT features a 50 watt LED Technology, a spot beam pattern that offers you a focused amount of light with great distance, and black aluminum poly carbonate housing. The CTL-CPZ610KIT comes standard with an extended warranty, harness and multi-volt 9-32V DC input. This light weighs 5.51 pounds and offers a mounting depth of 4.36".